Andor issued an RMA and took care of the costs under warranty. They stated that they repaired the camera by replacing the whole electronics board. I was hoping to not see the random horizontal bands again but upon firing up the camera and cooling down to -15C there were still there although they are now contained in a smaller region closer to the top of the frame. It still moves around so calibration is difficult if not impossible. When using a small number of frames it is hard to statistically reject the band. 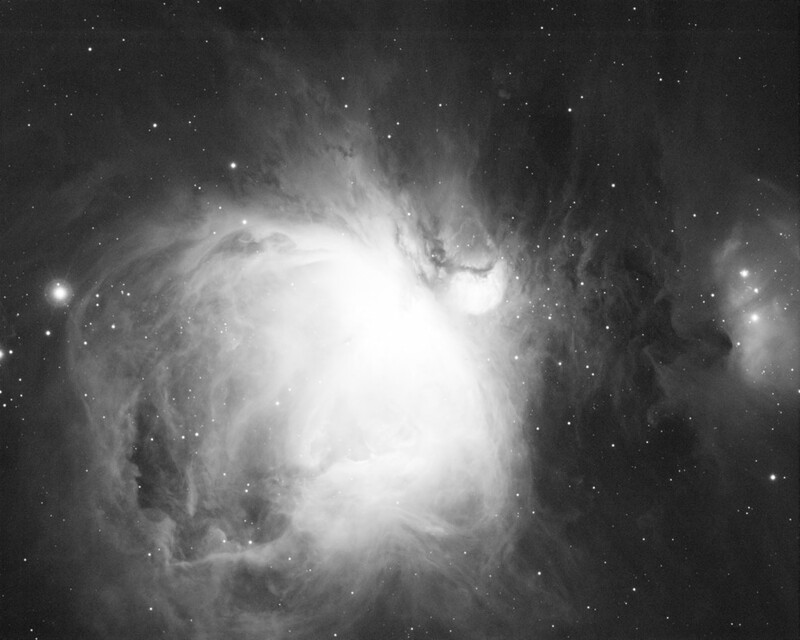 You can see below in M42, reproduced at 50% size, that a bright band stands out across the top of the bias and dark calibrated image even after calibration. 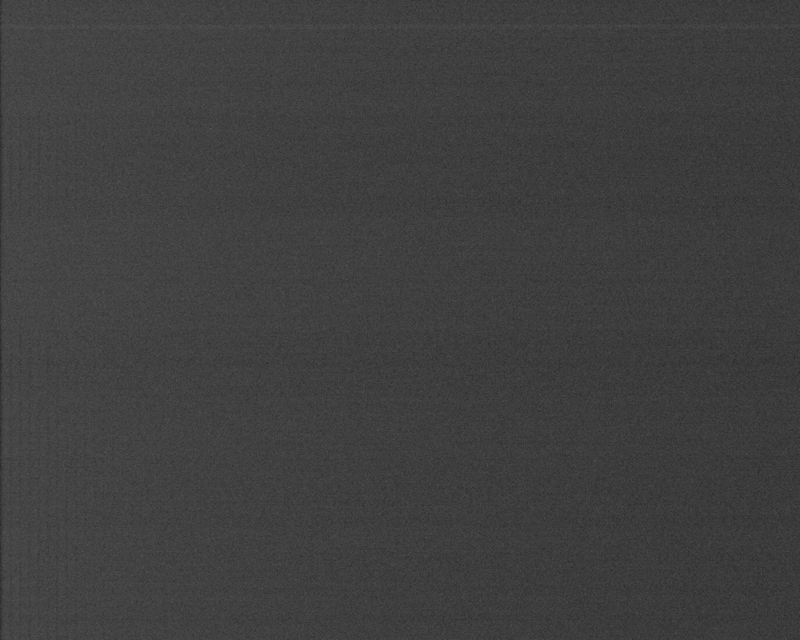 This is especially obvious in narrowband images where the background pixel count isn’t much higher than the bias floor. The band is also visible across the bottom of the Horse Head shot (I flipped the image) although it doesn’t stand out quite as much. 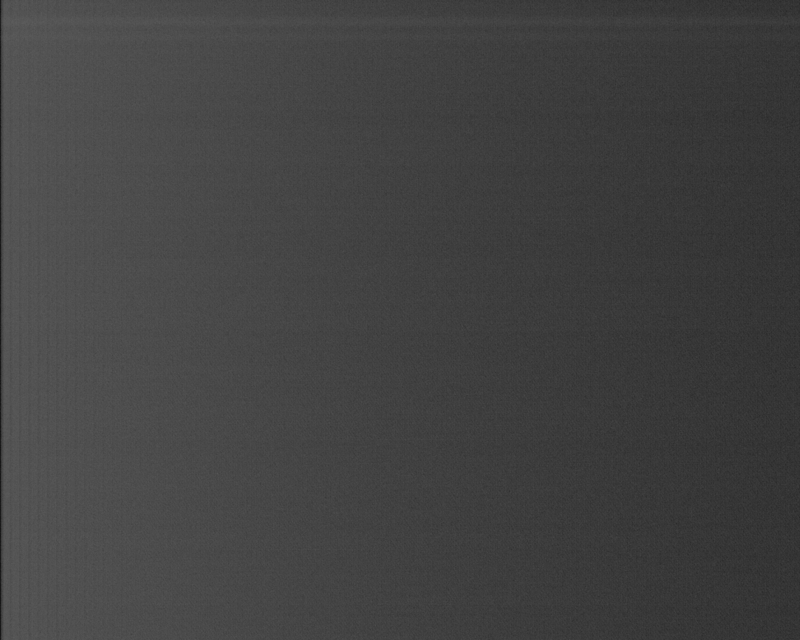 I am also including 100% size images of the bias, master bias, dark, and master darks used to calibration the two trial images. Apogee Ascent A694 – 6x10min Ha Evaluation after Repair. 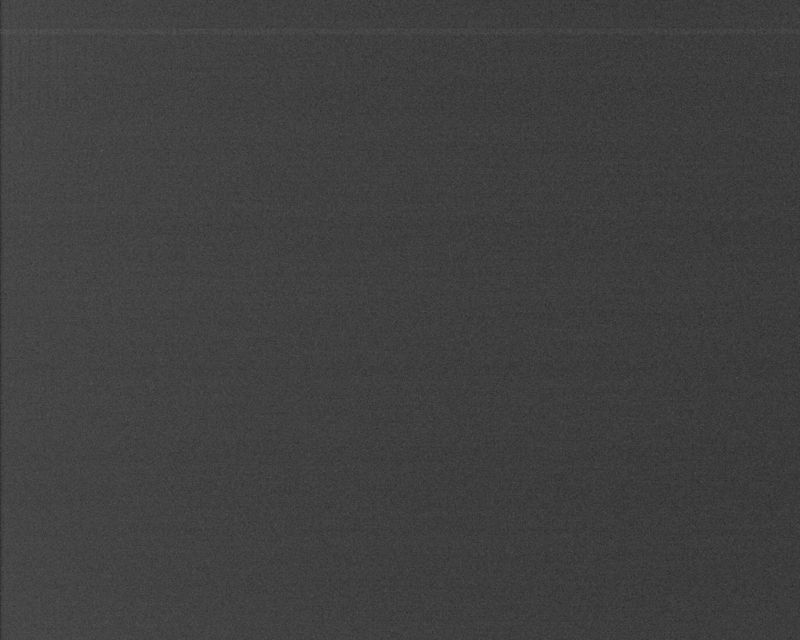 This is certainly better than what it was before but I am still left with these bands appearing faintly in my images. 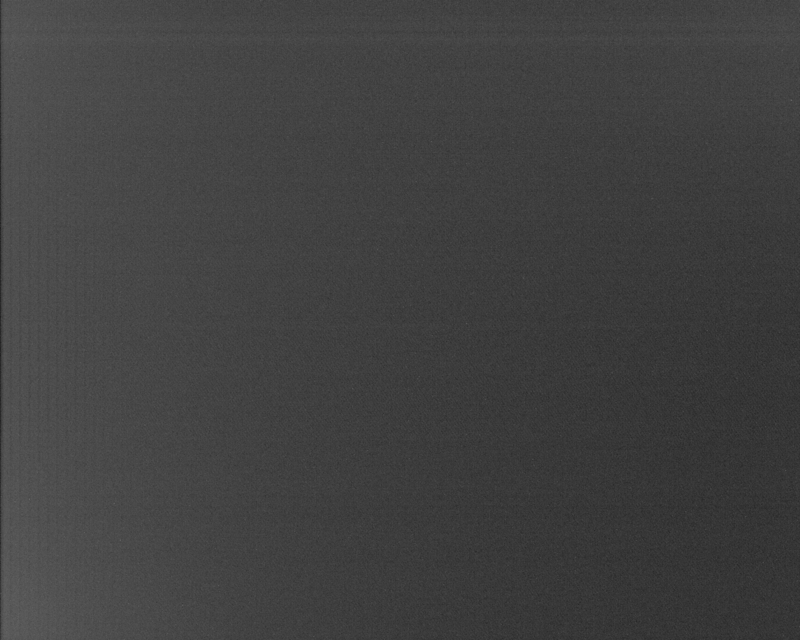 All images were captured with the CCD cooled to -15C. 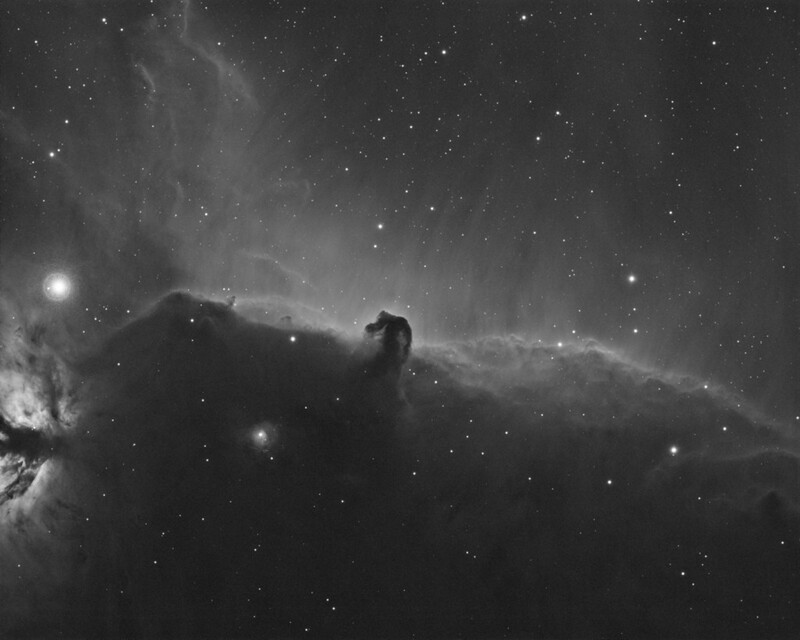 They were captured with MaximDL 5 and calibrated / processed in Pixinsight.